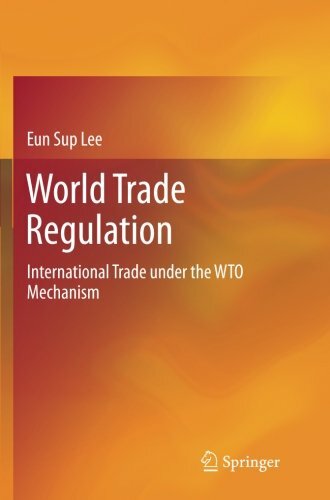 Amazon.com description: Product Description: This book conveys a comprehensive view of the WTO as the provider of a framework for certainty, security and stability in international trade, and shows how regulations must be considered when designing and implementing trade strategies in the global market. About: âThe institutional and legal status of the WTO, with its integrated dispute settlement system, provides a framework for certainty, security and stability for trade as well as a coherent system to protect intellectual property rights. About: This book conveys a comprehensive view of the WTO as the provider of a framework for certainty, security and stability in international trade, and shows how regulations must be considered when designing and implementing trade strategies in the global market.